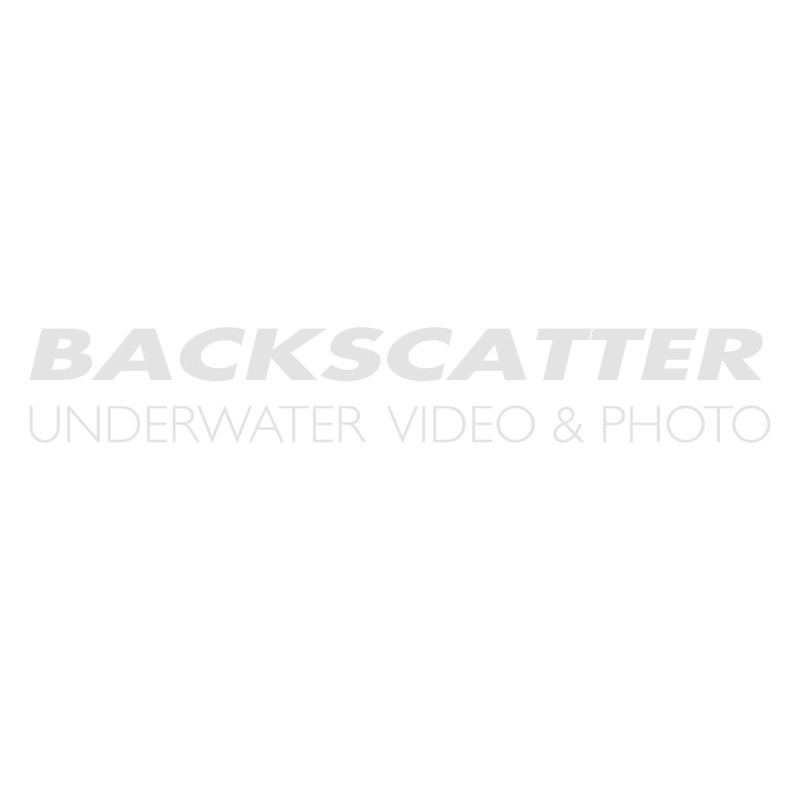 Backscatter stocks a great selection of Aquatica underwater housing systems and ports. You will find a selection of our Aquatica underwater camera housings below. To limit the number of options displayed, please use our Housing Finder to select your specific camera model. Please also browse our selection of used Aquatica underwater camera housings by clicking the used link above. This Aquatica A7r II housing is designed specifically for the Sony a7R II camera, with 42mp still image and 4K video possibilities, an unequalled level of low light performance and a newly released set of high performance optics, this camera is one of, if not the best, cameras to bring underwater for imaging purpose. Big features in a small package! The Arrival of the Canon T2i / 550 announced a new era in entry level DSLR, loaded with features usually found on much higher end cameras. This new Canon Camera offers a compact and light design that is ideally suited for the shooter on the move. The Aquatica T2i housing will give you unparalleled access to the camera operations and every effort has been made to bring the controls and buttons within easy reach of even the smallest hand. The A7D Mk II, successor to the wildly popular Aquatica A7D housing, boasts new improved ergonomics, a versatile port system and a rugged, yet compact design. Aquatica is offering the Aquatica A7D Mk II housing for the Canon A7D Mk II camera with integrated Ikelite TTL circuitry that will be fully compatible with the Ikelite DS line of strobes. The A1Dcx housing is part of Aquatica's fine line of precision crafted aluminum housings. Designed and tailor made for Canons flagship 1DC and 1DX cameras, both professional imaging tools with equally impressive still and video capabilities. With easy to reach controls, a next generation lens gear system and uncompromised viewing, This new, no-nonsense, Aquatica housing puts the Canon 1DX and 1DC into the hands of photographers shooting in the worlds most demanding underwater environments. The Aquatica Team is proud to introduce you to the Aquatica AD600 housing for the new benchmark in digital photography, the Nikon D600. The Aquatica Team is proud to introduce you to the Aquatica AD800 housing for the new bench mark in digital photography, the Nikon D800/D800e. Aquatica Digital is pleased to announce the release of their AE-M1 housing, the latest in its fine line of precision crafted aluminum housings. This housing will incorporate all of the great features of our current DSLR line of housings, but in a much smaller and compact size. Our designers and engineers have taken full advantage of our 5-Axis machines and have come up with what we feel is the best engineered and best looking aluminum housing on the market, and with its long tradition of making underwater housings, it also has a depth rating of 300 feet. The Aquatica AN-5n housing is designed specifically for the Sony NEX-5n camera. With this recent camera Sony improved on its preceding model, getting even more quality from a DSLR size sensor and still maintaining a size comparable to compact cameras with much smaller sensor. The line up of NEX Series E lenses is constantly growing and their optical quality is of the highest standard. With these kinds of attributes, the camera is sure to satisfy the needs of many and underwater photographers seeking a higher level of imaging performance in an easy to pack for travel system will rejoice themselves with this combination of camera and compact housing. Aquatica Digital has been providing for both the recreational and professional diver high quality underwater photographic systems for over 30 years. Given their tremendous expertise in designing & manufacturing underwater photographic equipment, they are proud to announce the new HD-WAVE supporting the new Sony HDR CX560/700 HD camcorders. NEX-5 camera, Sony has once again pushed the boundaries with this camera, yielding the punch of the DSLR sensor and the size of a compact camera; this flexible camera with its interchangeable lens and after market accessories will fill the needs of many underwater photographers seeking a high level of imaging performance in an easy to pack travel system. Aquatica is proud to announce its latest addition, a housing for the new Nikon D3s, with 12.3 mega pixels and HD video this camera/housing combination bring the underwater imaging to another level. Introduced with this Aquatica housing is the options of Optical Fiber and/or regular Nikonos and Ikelite bulkhead connectors to take full advantage of the newer underwater strobes on the market and accessing TTL on your Nikon D300s is now a breeze. The shell is machined from solid aluminum, treated and anodized to military specification, then painted with a robust weather and wear resistant finish, this addition to our already wide selection of housings will benefit from the same 300 ft. + depth rating that has set us apart from our competitors for so long. The new Aquatica housing for the Nikon D300s will feature a saddle mounting/locking system that allows for easy sliding of the D300s body on two solid rods. Aquatica Digital has been providing for both the recreational and professional diver high quality underwater photographic systems for over 25 years. Given their tremendous expertise in designing & manufacturing underwater photographic equipment, they are proud to introduce the newest HD WAVE for Sony HDR-XR550V/CX550V HD camcorders. Aquatica is proud to announce its latest addition, a housing for the new Canon 7D. With an 18MP APS-C CMOS sensor and 1080p HD video recording with manual controls, this camera/housing combination is the ultimate refinement of underwater imaging at the moment. The Aquatica D90 Housing for Nikon D90 should be similar in design to the Nikon D80 model and includes options on strobe connectors and viewfinders. With a depth rating of 300 feet, our deep diving Canon customers have their eye on the Aquatica 5D Mark II for the Canon 5D Mark II DLSR. The Aquatica 5D Mark II will feature the same improved camera tray and controls of the previous improved Canon designs from Aquatica. The Aquatica D700 Housing for Nikon D700 is similar in design to the Nikon D300 model and includes options on strobe connectors and viewfinders.